Plastic rear windows were standard equipment on Porsche Boxsters until 2003. The window was made of plastic because it needed to fold in half to fit into the storage space. It was eventually replaced with a glass version because the plastic would cloud up over time or dry out and crack. We have always treated the convertible top of our 2000 Boxster as a consumable item and assumed that we would have to replace it every few years. Porsche replaced it once under warranty in 2002. Fortunately for us, that replacement has lasted over 9 years! Last Fall the plastic started to show clear signs of stress cracks. We began looking at replacement options last Winter knowing that we would probably have to deal with it this Spring. The prices we got from various installers were kind of insane, so we decided to got the DIY route. 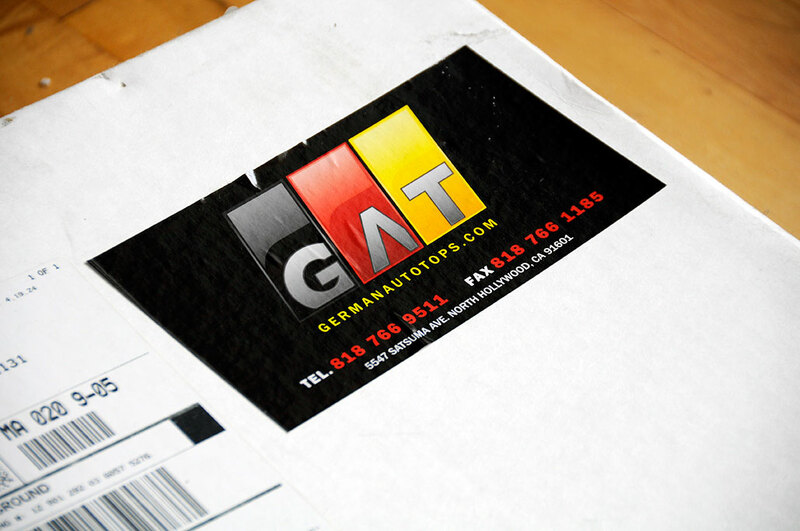 After some research, we settled on a aftermarket unit from German Auto Tops (GAT). We liked that GAT offered quite a few different options (clear vs green-tinted plastic, different grades of canvas, etc…). They even have a glass version of the top which would fit the pre-2003 Boxsters. 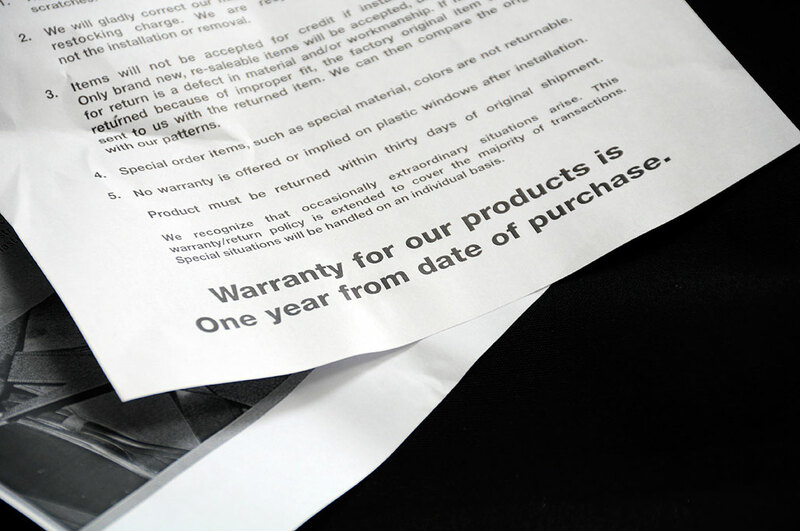 We also liked that they have a one-year warranty on their tops. After some consideration, we opted for the heavier StayFast canvas, but stayed with a plastic window. We preferred the plastic window because it is quite a bit larger than the glass version. It was a cold Spring and we didn’t get the hardtop off until late May. The first time we raised and lowered the convertible top, the window cracked in multiple places. It was a good thing we had the GAT replacement ready to go! We had every intention of doing the replacement that weekend, but the forecast indicated rain. We knew we needed a few days of good weather for the DIY and didn’t want to be caught in mid-project by a storm. However, with the storm coming, we had to find some way to keep the water out. 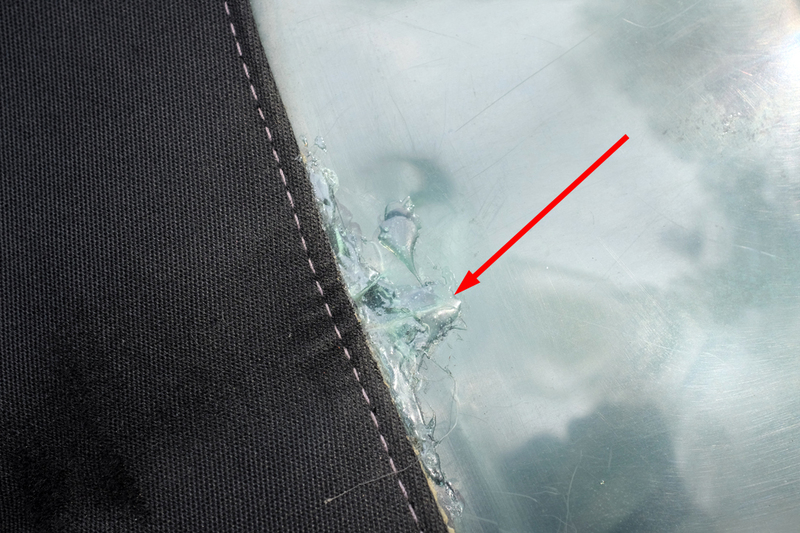 Fortuitously, someone on Pedro’s Boxster Board with the same problem (cracked plastic window) had posted a hack using an adhesive called E6000 (available at any Home Depot or crafts store for $5). The poster claimed he used the the stuff to seal the crack and the seal had held for over a month. We thought it was worth a try. 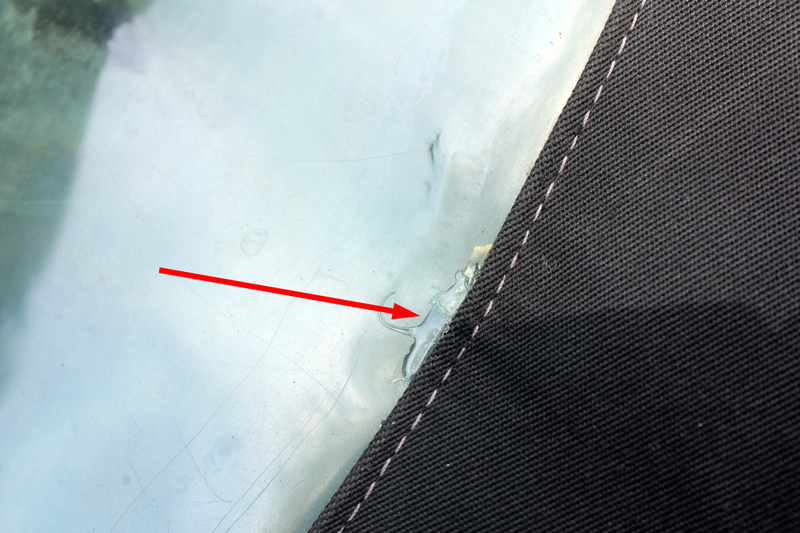 We applied the adhesive to both the inside and outside of the seam where it had started to crack. We also dabbed some on the surface of the plastic where it had turned white, a sign that the plastic had hardened and would likely crack soon. Well, the “hack” has been working perfectly since June. The seals are not showing any signs of weakening and there have been no leaks in spite of the daily raising and lowering of the top. We are amazed that it has stayed water-tight for so long. We had expected it to give out months ago. If we had known the stuff would work so well, we probably would have taken more care in applying the adhesive. A few have asked how well the E6000 worked in “fixing” the leaks and if we could post some pics. Well, four years after our “temporary” fix, the old top is STILL on the Boxster. 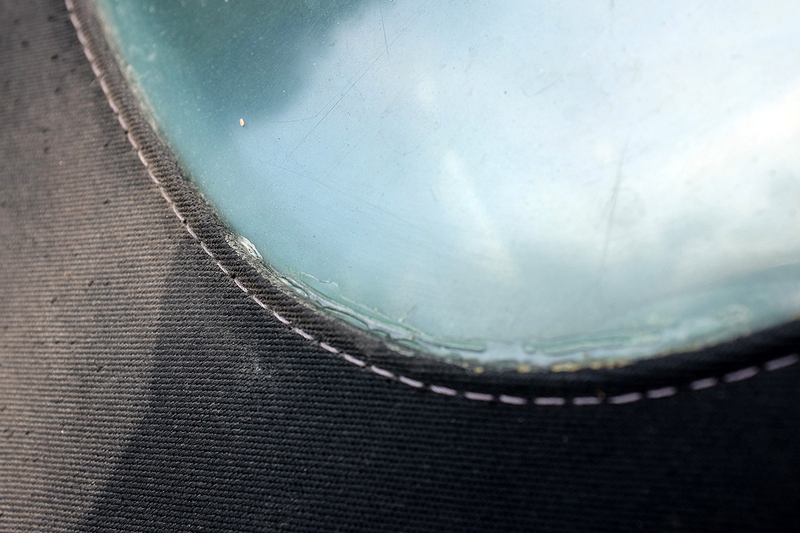 The cracks have not progressed to a point where we felt an absolute need to replace the top. BTW…it is almost impossible to smooth out the E6000. 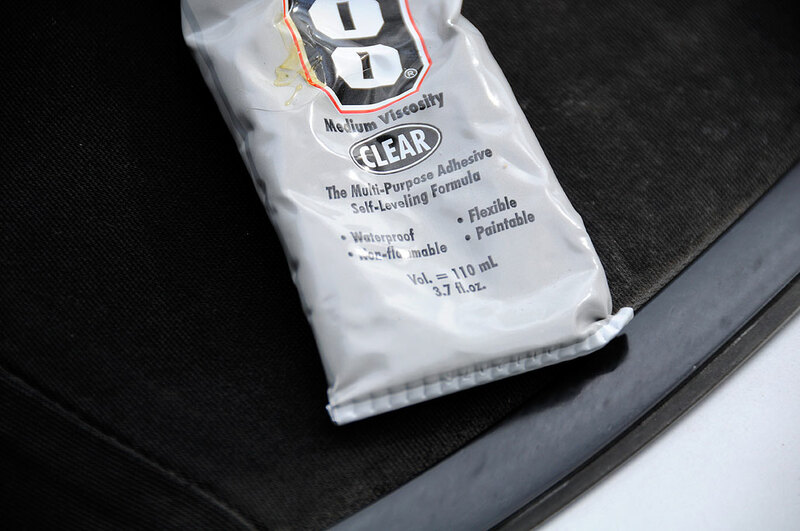 The stuff is sticky and you will end up pulling little strands everywhere. Best to just squeeze out an amount exactly where you want it instead of trying to work it like caulking or putty. While it is obvious the UV damage has made the plastic foggy, the window is still functional. With the convertible top down most of the time in the Summer and the hardtop on in the Winter, we have found it to be no big deal. If we are careful, we may be able to “make do” for yet another year or two!! !